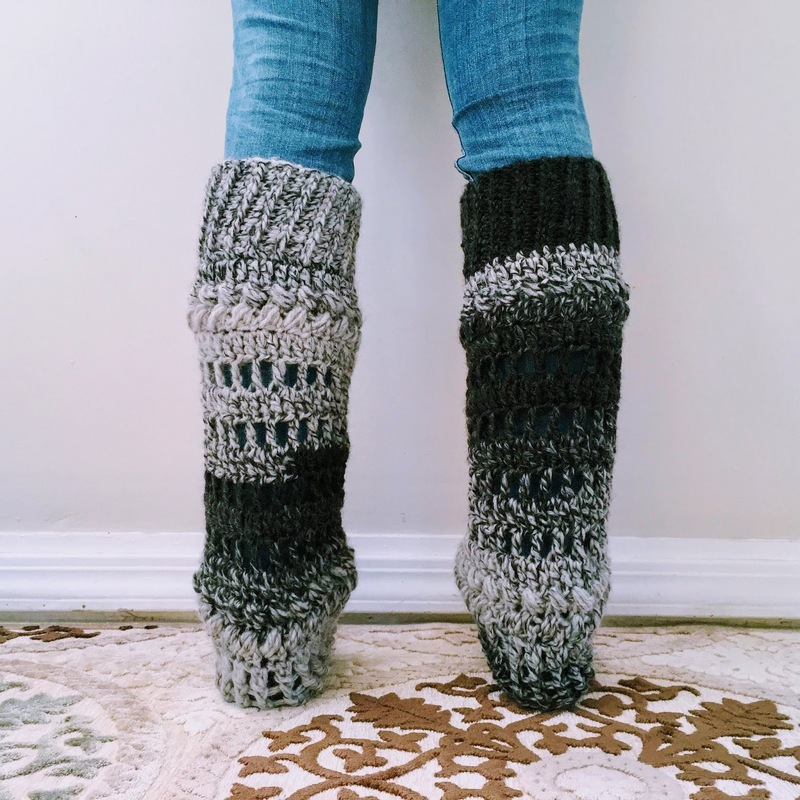 It's dark, cold, dreary...but look at you: you have these awesome crocheted leg warmers to keep you warm while looking fabulous! Yes, that's the way to handle winter. 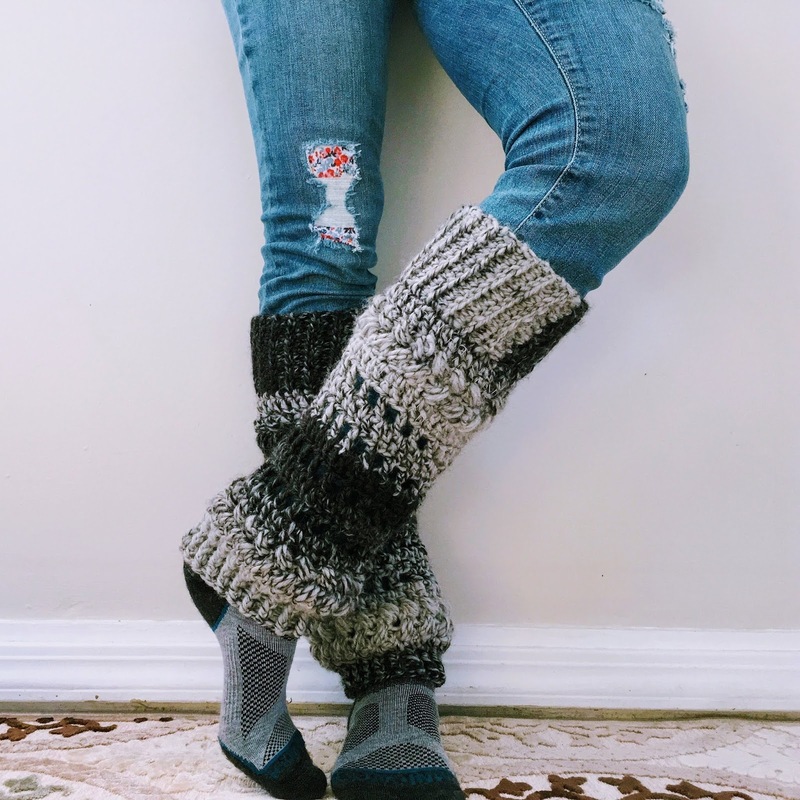 The fabulous Ellie at Hook Yarn Carabiner created the pattern for these crocheted leg warmers as something fun, fashionable, and usable to make during wintry days when you stay inside and wear when you go outside. Handmade "leg sweaters" are fashionable and cozy-warm, yes, but there's an added 'special touch' with this pattern: Kreinik Reflective Yarn. Ellie calls for it as a carry-along (so lightweight, you can hardly tell it's there) to add a level of safety when you go out at night, walking the dog, biking, jogging, or grabbing dinner. 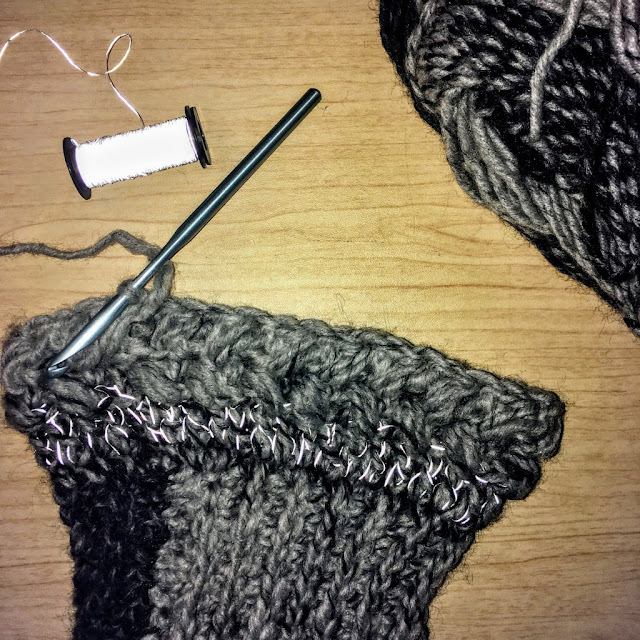 The neutral gray of the Reflective Yarn goes so well with the Lion Brand Scarfie yarn she used, but it blends into just about any color or yarn. Hmm, bonus idea: this pattern could become your go-to gift to make for friends this year. The Kreinik Reflective Yarn is thin and neutral, so it blends into any yarn. Photo showing it reflecting in a camera flash via Hook Yarn Carabiner. Get the pattern from her Etsy shop here. Get the Kreinik Reflective Yarn here. Ellie's such an interesting person in addition to being a crochet enthusiast. Read more about her here and check out some of her other crochet patterns here. Follow her on Instagram too.